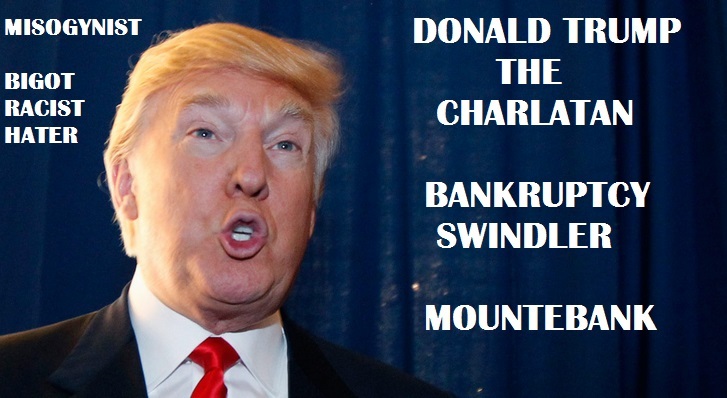 For Increased Ratings And Profits The Media Is Promoting The Prime Requisite Of A Charlatan DONALD TRUMP. This Mountebank Is A Person That Deceived Investors And Swindle Them Out Of Their Money. 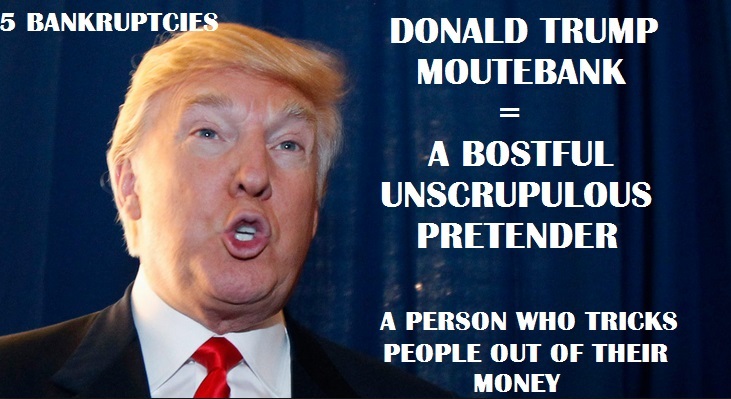 If you look at the traits of a Charlatan he/she is a boastful unscrupulous pretender, confidence trickster, fraud, fraudster, impostor, and hoaxer. Focusing on the Media if you would recall in 2003 they “willfully” went about promulgating George W Bush’s Invasion of Iraq to the point that those that disagreed were brutalized by the Media and, the same Media subsequently crucified George W Bush’s unscrupulous decision on Iraq. Freedom of the Press has always been important because that is how a proper check on the Government is reported to The People, however, now that “all” of the Media are owned by Six  Corporations, there are no more Dan Rather, Tom Brokaw, Frank Reynolds, Barbara Walters Peter Jennings and definitely no Walter Cronkite. Today, we don’t have Journalists but what we do have are a Hosts of People calling themselves Journalists when in truth and in fact, they are just HACKS for their Corporate Bosses. On every News Program they have Talking Head Pundits on the right and on the left, killing each other with garbage. FACT: With the field of Republicans seeking the Presidency all squeezed together in the Crazy Clown Train, permeating such nonsense, we have become the laughing stock of the world. To hear Donald Trump given the opportunity to Mouth-Out that he would reinvade Iraq, Bomb them and steal the oil, sell it and give the money to our Veterans, well, how much lower we can go? The advocating of Donald Trump stupidity to remove United States Citizens born in this country and to have this stupidity echoed by Trump’s challengers in his Party and supported by the uninformed, ignorant, uneducated and brainwashed Republican Voters, the embarrassing is chilling. Let us hope for the continued good of America that the Voters use their common sense and morality and not their emotions and deny entry to the White House to any of these raging lunatics!